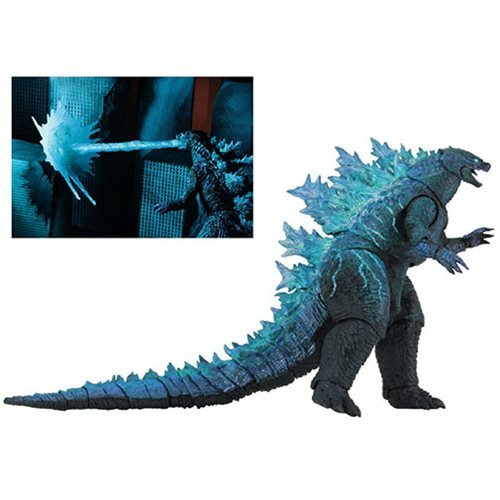 NECA is thrilled to present another figure from the upcoming, hotly anticipated Godzilla: King of the Monsters movie! Based on the monster's on-screen appearance in this sequel to the 2014 Godzilla movie, the Godzilla: King of Monsters 2019 Godzilla Ver. 2 7-Inch Scale Action Figure features lightning paint deco and is fully poseable, with over 25 points of articulation. The figures comes with an attachable blast effect.